From serving as a simple saw guide to marking complex seat cuts, this revolutionary layout tool incorporates 17 tools into one tool! 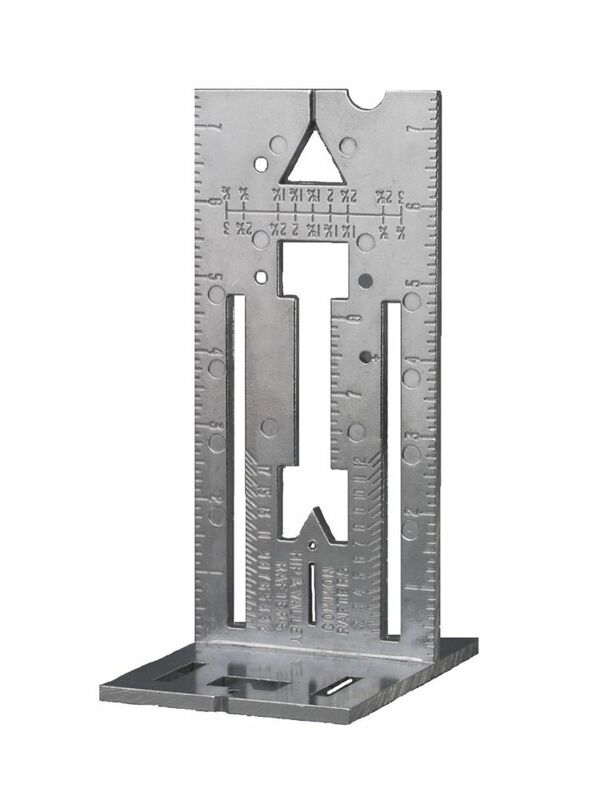 The Husky Universal Square is a wall partitioning layout tool that can save layout time for carpenters. It is designed to aid both professionals and do-it-yourselfers in laying out wall studs (both middle partition and corners), squaring windows and doors, and scribing angles, rafters and seat notches. Empire Levels combines durability and accuracy with its 48 in. True Blue EM71.48 Series Box Level. Its blue vials offer superior readability, and are accurate to within 0.0005 per inch in all 10 level and plumb working positions. Its Rare Earth magnets hold onto ferrous surfaces, while its rubber hand grips add comfort for users. And the dual-molded, shock-absorbing rubber endcaps ensure it will endure any home or professional project. The HDX 3 in. x 200 ft. Danger Barricade Tape is for use in hazardous areas. This red tape has a black print which reads Danger/Peligro. Made of durable plastic, it remains pliant in cold weather. 17-in-1 Universal Square From serving as a simple saw guide to marking complex seat cuts, this revolutionary layout tool incorporates 17 tools into one tool! The Husky Universal Square is a wall partitioning layout tool that can save layout time for carpenters. It is designed to aid both professionals and do-it-yourselfers in laying out wall studs (both middle partition and corners), squaring windows and doors, and scribing angles, rafters and seat notches. 17-in-1 Universal Square is rated 3.0 out of 5 by 2. Rated 4 out of 5 by afqc from Very unique product at a good price. Home Depot is the only place I was able to find it. Rated 2 out of 5 by olcanuck from Husky universal square This is the third universal square I've purchased. The first two were so badly out of square I couldn't use them and returned them. The third one is still not square but better than the first two. Other than not being square it has some good features. Be sure to check it for square before leaving the store.